Dog News Lost Dog Reunited Video Wow! A month after a devastating tornado forever changed the lives of the Wassom family, their beloved dog Lizzy turned up unharmed outside a nearby residence. This past April, Vilonia, Ark., was hit with a devastating tornado that took many lives and destroyed many homes. Among those affected were many loyal four-legged friends who lost their homes and even their loved owners. Lizzy is one of the many pets affected by the tornado. She belonged to Master Sgt. Dan ‘Bud’ Wassom II, but unfortunately he lost his life the day the tornado hit. Wassom died protecting his five-year-old daughter from the tornado’s wrecking winds. The beloved canine went missing after the tornado and even though the Wassom family was devastated with the loss of their patriarch, they were hopeful that Lizzy would be found alive. After all, the family was able to locate and reunite with their other pets. Days passed and there was no sign of Lizzy anywhere, but a month after the tornado forever changed their lives, the canine turned up unharmed outside a nearby residence. Michelle Gibson with Fuzzy Hearts/Reassuring Paws Animal Rescue told THV11 the missing pet was found in good health. The dog underwent a tick bath before being reunited with her family. “Master Sgt. 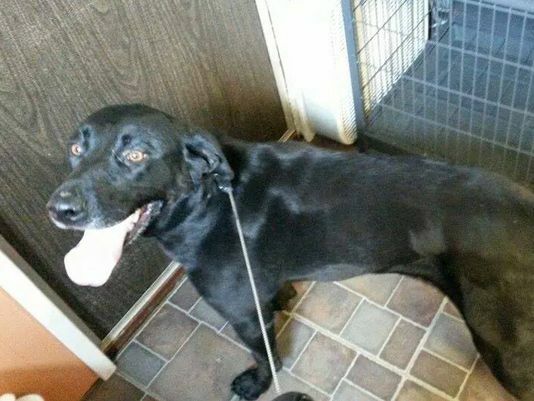 Wassom loved this girl and the family has desperately been searching for her,” said Gibson. The Wassoms were ecstatic to have their beloved dog back home and the emotional reunion was captured on video.